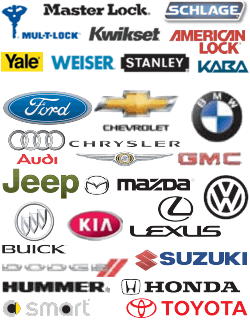 The mobile technicians at Pflugerville Locksmiths Pros provide quick, efficient and affordable laser cut car key services in your area. When we take mobile projects, strategic procedures are always implemented to prevent delays. We’re built a strong reputation as a dependable locksmith company by never cutting corners. Because our 24-hour automotive locksmiths are highly trained, supportive, friendly, and helpful, you’ll have peace of mind throughout the entire laser cutting process. Our laser cutting equipment produces professional results by strategically honing the thickness of each key. The keys that we design by implementing laser cutting procedures don’t have notched grooves. Instead, they have unique paths that run along the edge of the metal. The laser cutting tools that our automotive locksmiths use cut keys for cars with locks that have a slider system. Whenever a piece of a key breaks off in the cylinder on a car door, certain steps must to followed. These procedures can provide big benefits during time-sensitive situations. After a small portion of a key breaks off in the locking mechanism on a door, we will remove the broken piece with a special pair of pliers designed to avoid causing any damage to your lock. Once the broken component is removed, you’ll get fast services because once we have all the pieces, the broken components can be used as a blueprint to make your new key. If a large portion of a key snaps off and jams several inches within a locking cylinder, a simple pair of pliers won’t do. Leverage is required In order to extract a key in this situation, which isn’t available while a key is flush against a lock. In this instance, the job requires special tools that all of our mobile units are equipped with. During these situations, we use devices with hooks that are designed to grip and pull a broken key out of a locking cylinder. Whether your key is only partially stuck or jammed deep inside the lock, we do not suggest trying to remove the broken key piece on your own. You may end up causing more damage that will just cost more money in the long run. It may be tempting to try to do it yourself, thinking you will save time. But the truth is when you request our key cutting services we will be there in a matter of minutes and with our years of experience, it won’t take long at all. Whenever a key is needed during the day or night, you’ll have no problems working with us because our technicians provide prompt services 24/7. We’re fast, reliable, and efficient throughout all laser cutting projects; since customer service is important to us, we always respond to service requests within half an hour. No matter what service you request, we won’t let you down because strategic steps are always taken to ensure professional, accurate results. If you’d like to work with one of our licensed, bonded, and insured automotive locksmiths, contact us today. We serve drivers in Pflugerville Texas and surrounding areas. Want to learn more about laser cut car key? Sure you can look it up online, but why not learn something new by sitting down with a good book? Check out the Pflugerville Library and learn something new! 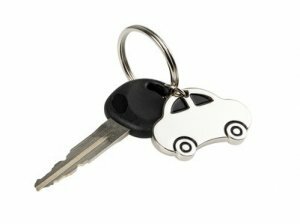 Laser Cut Car Keys https://pflugerville-locksmith.co/automotive/laser-cut-car-keys/ 4.2/5 based upon 44 reviews.